The 2 Arco trestles for table are the perfect support for a desk that desires to be looked at and that has nothing to hide! The Scandinavian domestic style rightfully enters the homes of European families. Due to the simplicity of the lines and to the sober and elegant colours, but also thanks to the excellent quality of the materials used, accessories made according to the Swedish design are more and more present in the living areas. 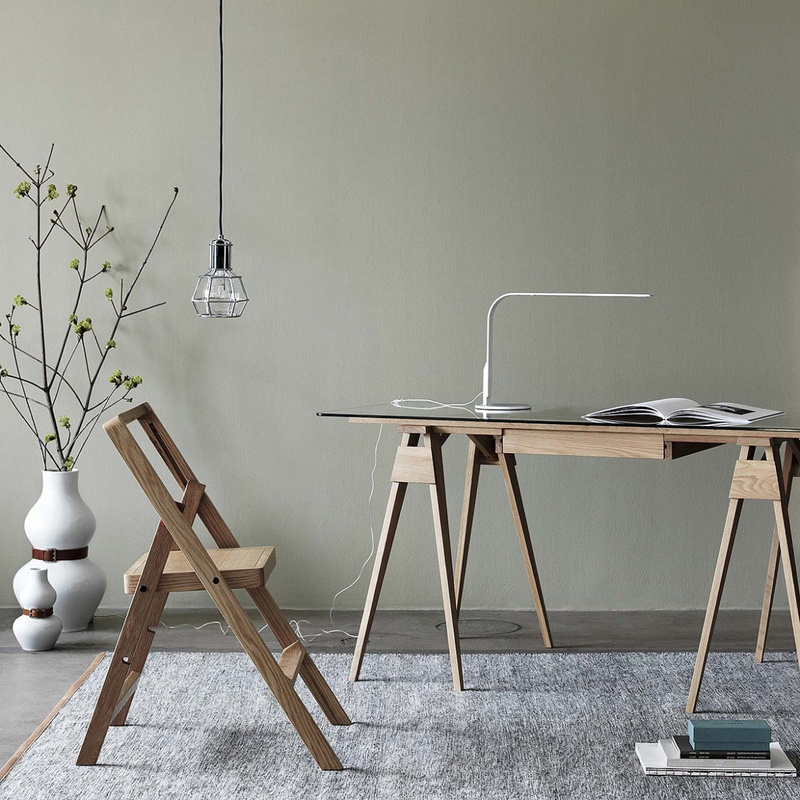 Among these objects there is the Arco desk, designed by the American-Icelandic designer Chuck Mack, capable of embodying both the English and the Nordic spirit in the field of furniture. 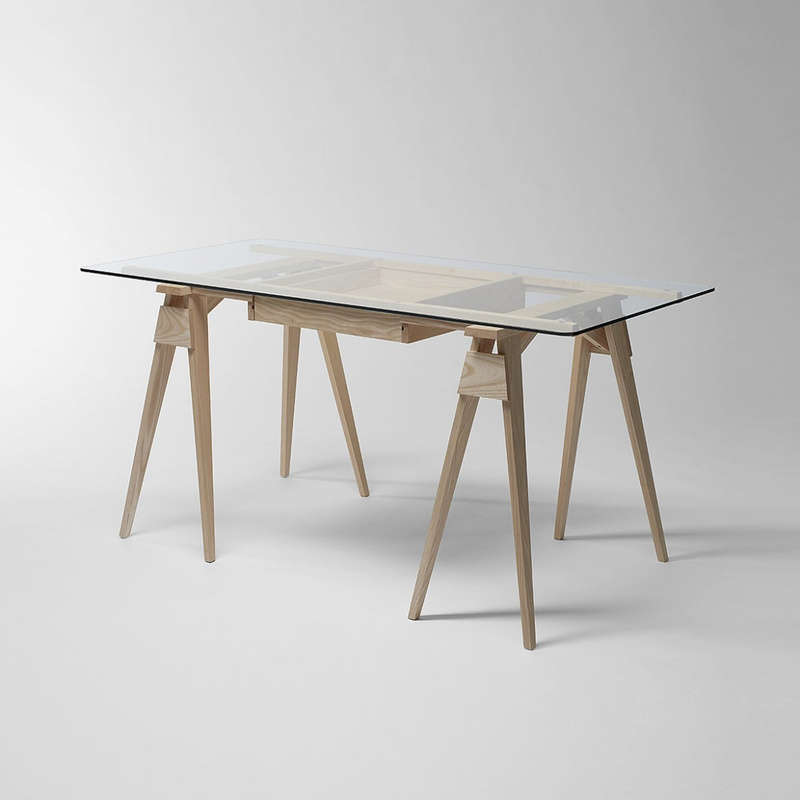 Among the fundamental elements of this accessory, it must be certainly included the 2 Arco trestles for table, made of white lacquered solid wood and capable of supporting a sheet in tempered glass. The set has a total weight of 8 kg, with not excessive overall dimensions, thing that allows to support both the top of the desk and the structure with the built-in drawer. 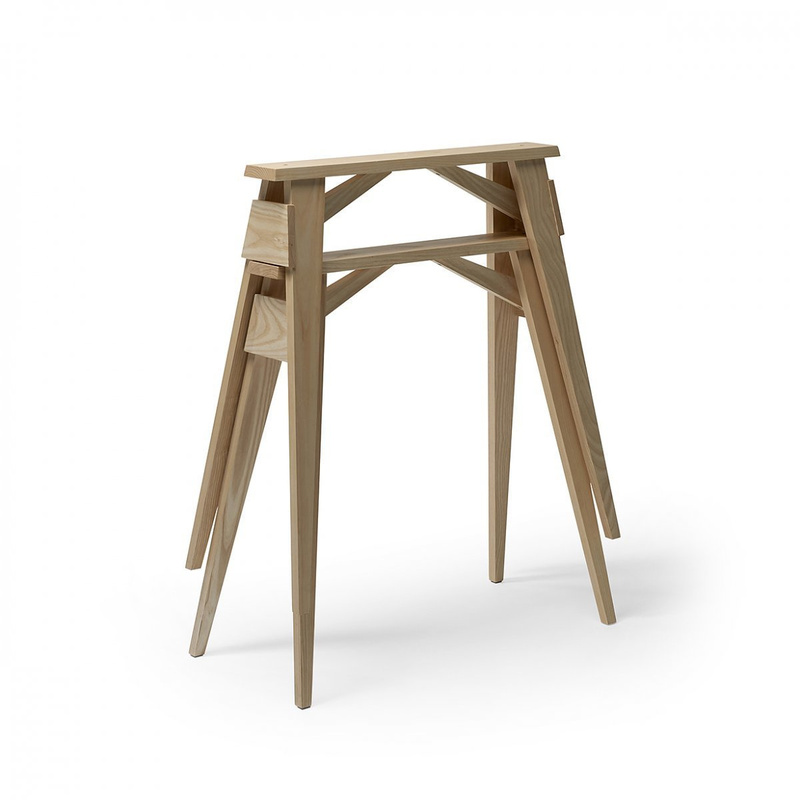 The 2 Arco trestles for table have a length of 72 cm, a depth of 34 cm, and a height of 70 cm. 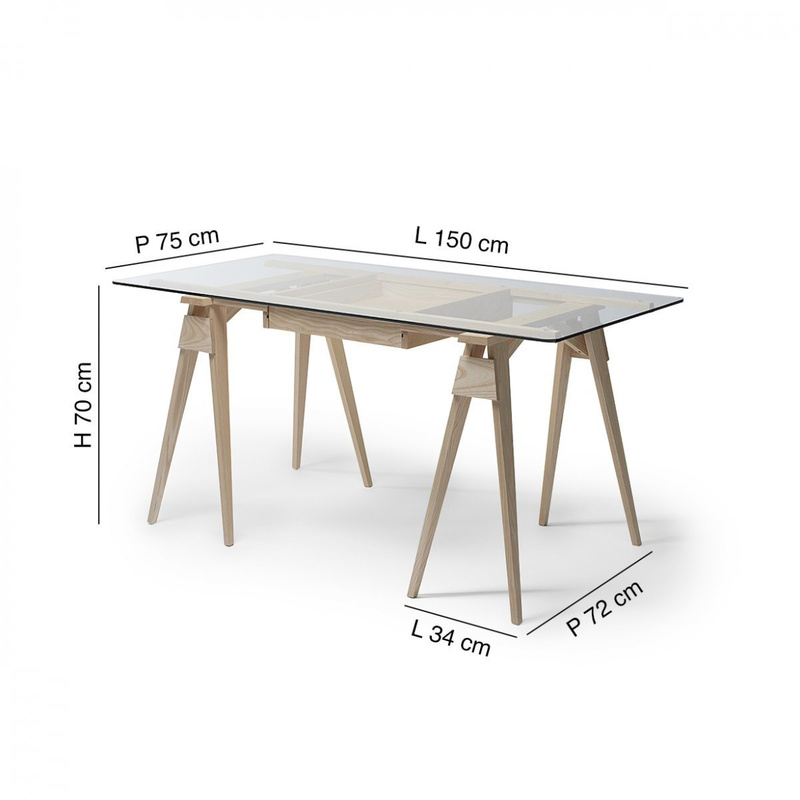 These products are sold separately from the central wooden structure and the glass sheet and, together, they compose the Arco desk, an unmissable product able to fully enhance the room it is placed in. Due to the transparency that characterizes the sheet, you will be able to see all the stationery items and documents stored in the drawer. The stands are durable and come with simple lines that will delight those who are looking for a functional and clean-looking exterior. 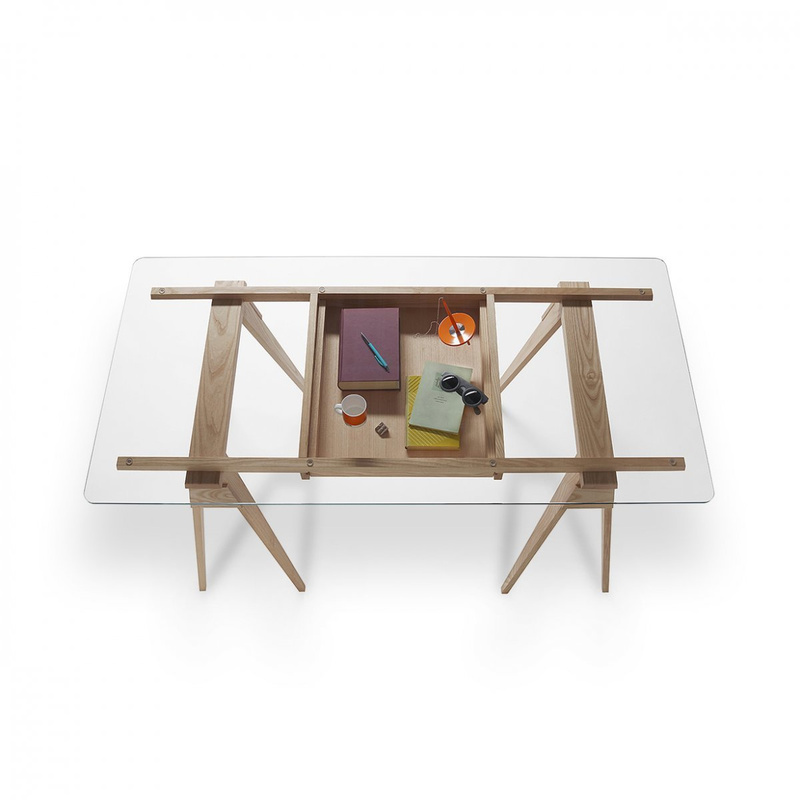 Together with the wooden supports also comes a manual with all instructions for an impeccable maintenance of the desk. Before using the product, it is recommended to clean it with a damp cloth, then dry it with some paper. The brand that created these accessories is Design House Stockholm, a leading brand with regard to products and interior objects for home. Among the main features of its accessories functionality and simplicity stand out.